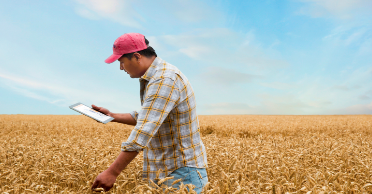 HPE is partnering with Purdue University to uncover digital technologies with the potential to transform agricultural research. The objectives are increased crop yields with reduced inputs—and therefore less environmental impact. The partnership is exploring the potential for IoT and intelligent edge computing to revolutionize agricultural research practices and ultimately, farming efficiency. Instead of manually sampling crop and soil conditions, IoT sensors can measure numerous characteristics in real time, while the plants are still in the field, making it possible to optimize water and chemical inputs for an immediate impact on the crop.